Manually control what is displayed 1st, 2nd or 3rd (e.g. by what is the most popular). To access this feature, go to Settings>Products setup from the drop down menu on the top right of your screen (your circled initial). As you can see from the above, you are presented with three options indicated by the grey radial buttons plus a "Group by Category" check box. The combination of these are described in this Article. Select the Product Name radial button if you would like your reports and other documents sorted in alphabetical order by the name of the product (e.g. 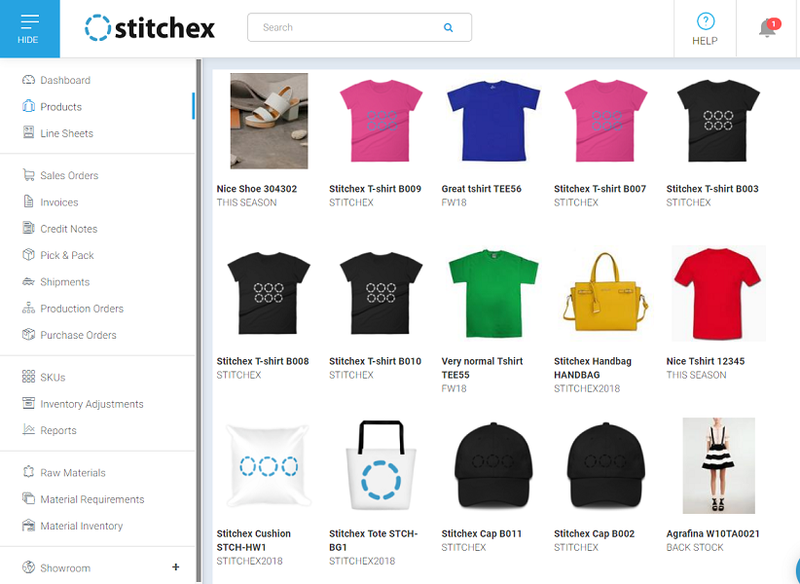 "Stitchex Caps", "Stitchex T-Shirts, "Swim Suits") as illustrated below. Product Identifier works the same way as Product Name except that it uses the product identifier you used when you setup the products and sorts them numerically by Product Identifier (e.g. B002, B003, B004, etc.) instead of alphabetically. Use Group By Category with Product Name, Product Identifier or Manual to further manage how your documents are displayed. In the example below, Figure A shows purely a consecutive order sorting by Product Identifier (e.g. B002, B003, B004, etc.). This is created by choosing Product Identifier radial button without the Group by Category. Figure B shows an example where the Product Identifier radial button was selected as well as the "Group By Category" is also enabled (checked). The Group By Category lists all "caps" together first because they are first by Product Name alphabetically. Within the "caps" listing, they are then sorted in sequence by Product Identifier. 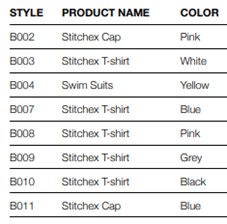 Then, all T-shirts are listed together. And, within T-Shirts, they are listed by Product Identifier. 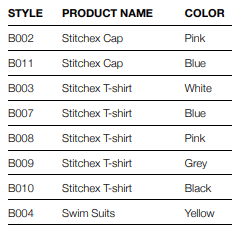 Lastly, the Swim Suit is listed since it alphabetically falls last by Product Name. The Manual Display Order allows you to drag and drop the products in the sequence in which you want them displayed. The Manual Display Order is controlled by you. If you switch to a Product Identifier or Product Name display later, the system will remember the "Manual Display Order" you setup. And, if you want to switch back to "Manual Display Order", your pre-configured sequence remains unchanged. Navigate to Products from the main vertical left menu. Select the cogwheel (gear) drop down menu in the top right corner. While holding the left mouse button, "drag" it to the place you want to move it. When your cursor is where you want your product, release your left mouse button. 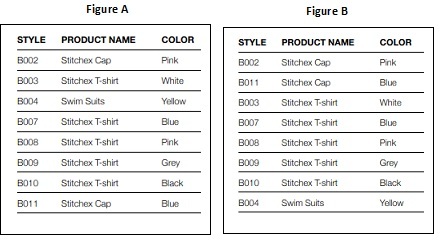 Perform steps 1-3 until you have rearranged the display order of your products.